From FDCs web site comes the following increase in service between Paignton and Torquay. Stagecoach are of course running a new X45 between Plymouth and Paignton. 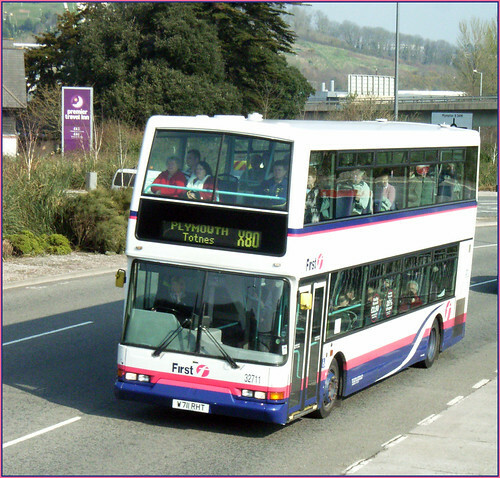 From 17th June 2007 the service between Torquay Strand, Preston and Paignton Bus Station will be increased to operate every 15 minutes Monday to Saturday daytime. Buses will continue to operate from Paignton to Totnes, Ivybridge, Plympton and Plymouth every 30 minutes with super low floor double deck buses. The majority of journeys on this service will continue to be operated by easy access super low floor buses that enable people with mobility problems and those with wheelchairs, buggies or prams to board easier. Its not just in South Devon where the two groups are in competition. Stagecoach has moved into North Devon in a big way, mainly to fill in the gaps left by First as they withdrew from many services. We are now beginning to see First fighting back on their remaining services with extra journeys between Barnstable and Bideford and also an increase in Okehampton to Exeter services.